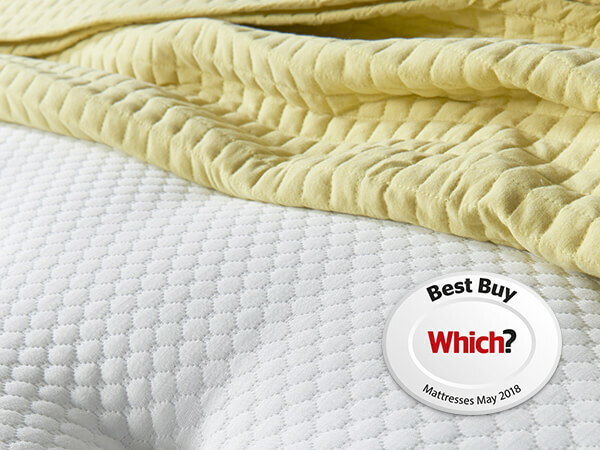 The Eco Comfort mattress layer is made from recyclable plastic bottles and sustainable fibres that are breathable and eco-friendly to give you a fresh and purifying sleep. Fibres have been intelligently constructed to offer extra support and comfort to help you enjoy a refreshing night’s sleep. 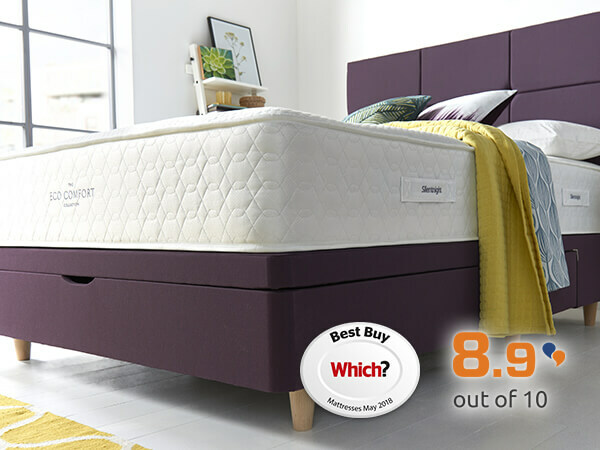 No wonder our Eco Comfort 1200 mattress has landed a Which? Best Buy for 5 years running! 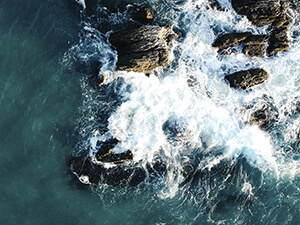 As a leader in the industry, it’s our responsibility to pave the way for innovative, eco-friendly product development that cares for our environment. That’s why we developed the innovative Eco Comfort layer. 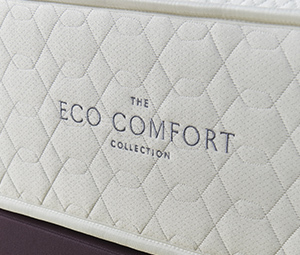 Our revitalising Eco Comfort layer can be found across a wide range of mattresses for adults, tots and teens. 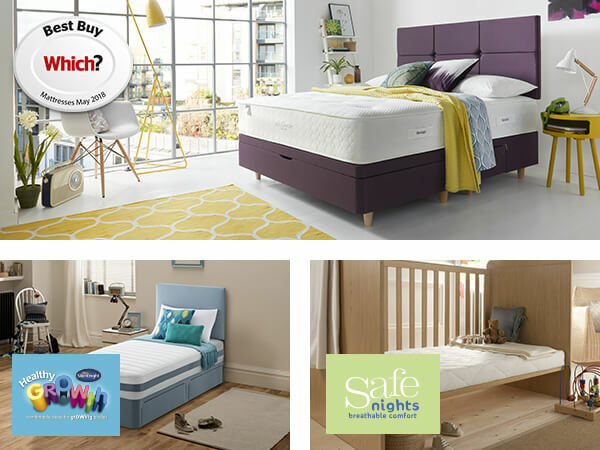 Adults looking to experience Eco Comfort can visit here and find a range of mattresses in every size from single to super king. Young children can enjoy all the benefits of Eco Comfort too through our Healthy Growth range, while even your little one will find a breathable, safe and supportive sleeping experience in our Safe Nights range. This revolutionary comfort layer combines with our trademark Mirapocket spring system that offers zoned support for better spinal alignment to give you an affordable mattress that refuses to compromise on quality. Featuring materials engineered from recycled plastic bottles, the Eco Comfort layer is 100% sustainable and highly breathable, allowing air to pass through for an invigorating and refreshing night's sleep. 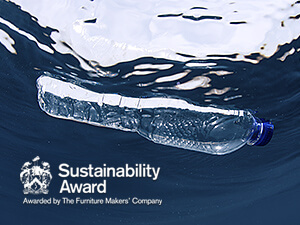 ...the number of plastic bottles Silentnight’s prevented from entering landfill or the sea. 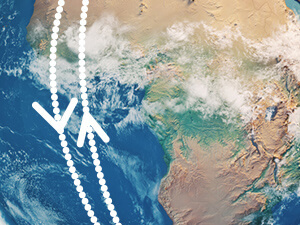 If every plastic bottle was laid end-to-end, we'd reach the South Pole from London....and back again! 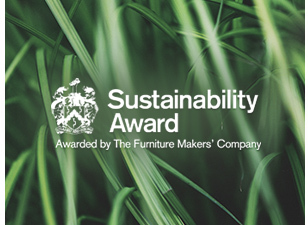 In 2017 we were proudly awarded The Furniture Maker’s Company Sustainability Award through our commitment to sustainable manufacturing that cares for our environment. 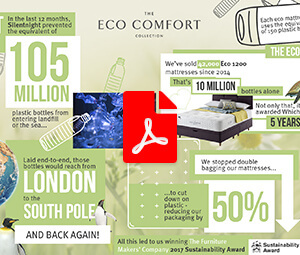 ...the number of Eco Comfort 1200 mattresses we’ve sold since 2014. That’s the equivalent to 6 million bottles alone! ...the amount of plastic we've cut-down by reducing our packaging and not double-bagging our mattresses.